How Are You, Mr. Dan? 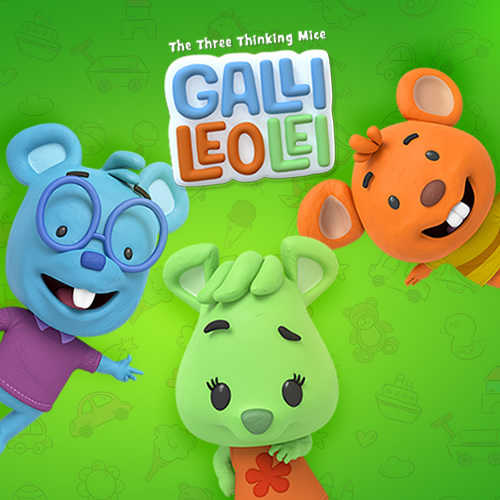 is a musical English teaching tool for children, their parents, ESL teachers and their students. By placing English grammar and vocabulary lessons into humorous songs and videos with funny animated characters, exciting enrichment worksheets, arts & crafts, games and more, How Are You, Mr. Dan? creates immediate language practice and engagement for children. On the internet, HowAreYouMrDan.com is gaining momentum as a useful web resource. ESL teachers from countries around the world have discovered and shared the program on Facebook, YouTube, Pinterest, Soundcloud, Tumblr, and Twitter while searching the web for English songs to use in their classrooms. As a result, some of the How Are You, Mr. Dan? videos have gained over 20,000 views in less than a year. How Are You, Mr. Dan? 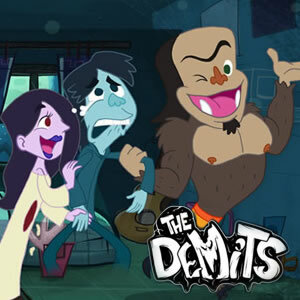 is becoming a rapid success thanks to a team that exhibits excellence in animation, education, and performance. Kumata Studio is a professional team of creative minds that has been producing original animated works for television, film, games, apps and other audio-visual media for 8 years. 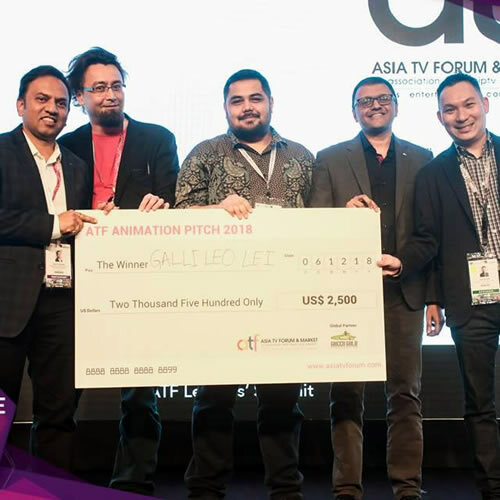 Kumata has achieved successes which include producing animated shorts for Sesame Street in Indonesia (Jalan Sesama), Belajar Bentuk 3 Series (Discovering Shapes), Cara Berkomunikasi (How to Communicate), Pola Pada Binatang (Animal Patterns) and Layang-Layang (The Kites). Gagasceria Discovering English (GDE) is an English language school for Indonesian children based in Bandung, West Java. GDE is staffed by a team of well-qualified teachers equipped to help their students gain the skills and confidence needed speak English fluently. Kumata Studio consults with these teachers to create the materials for How Are You, Mr. Dan?, placing their best teaching ideas into the form of downloadable worksheets, crafts, activities and song lessons. Mr. Dan Nicky is a children's music artist and certified English teacher from Chicago, IL, USA. His educational songs have been featured on albums with kids music legends such as Raffi and Ellen Edson, and his hit song “Too Many Beans” reached #1 on XM Kids radio. 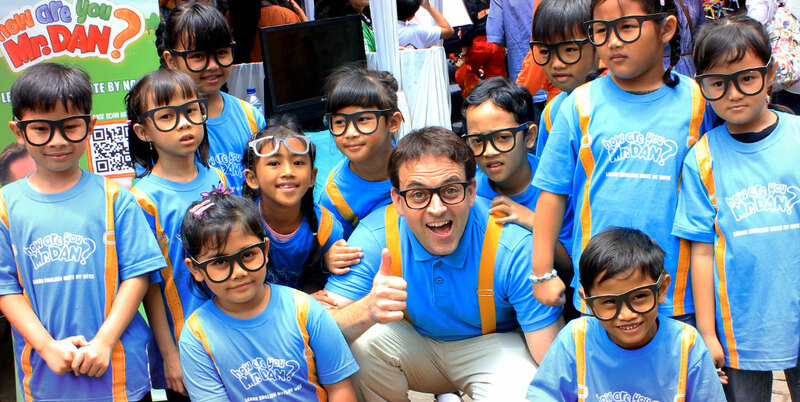 Mr. Dan recently appeared on CBS (The Amazing Race) and has won numerous performance awards on television in Indonesia, where he now resides and focuses his entertaining ESL instruction for How Are You, Mr. Dan? With music being a wonderful medium for engaging and interacting with students (a crucial element in conversational fluency), How Are You, Mr Dan? has successfully begunreaching out to schools and English programs to spread the word about the fantastic resources that are available on www.HowAreYouMrDan.com. Lining up these events at schools, teaching seminars, and educational workshops has confirmed that there is a high demand from parents and teachers to help their students learn English and participate in a global community that uses English as its international language. To implement further growth, the road is clear. As How Are You, Mr. Dan? is introduced and shared on educational websites for children, educational consulting sites for teachers, parent forums, teacher forums, and within a wide range of educational communities (even forums for foreign exchange students), the positive news about How Are You Mr. Dan? quickly spreads. With this road ahead of us, we need help to carry the workload of expanding our quality content, and we look forward to sharing in the resulting benefits. We are now seeking sponsors, media partners, and production partners who have a vision to promote education, especially in learning English as a Second Language. Learning English is fun and effective when you learn in note by note! If you are interested in joining us in this exciting and rewarding work of growing How Are You, Mr. Dan?, please contact daryl@kumata-studio.com for more information. Content Director film animasi Si Juki the Movie, Faza Meonk menjanjikan cerita si Juki akan lebih seru ketimbang kisah dalam komiknya.